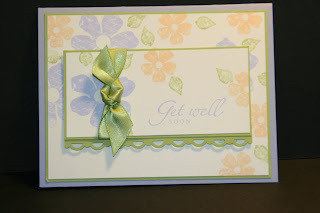 This is one set I'm hoping that Stampin' Up! will have in the new catalog. I have made SO many cards using the "Vintage Vogue" set and there's SO many more I want to make. I just LOVE this set. I did not make this card. A fellow demonstrator Denise made it. She's a phenomenal stamper. I love all the cards she makes. She's a very neat and clean stamper, which is something that I LOVE and often do myself. The colors used here are as follows: Almost Amethyst, Certainly Celery, Apricot Appeal. Isn't it just a beautiful card? I don't think I've used this set without cutting a flower out. And this card shows that you don't need to always cut out flowers! A lesson I learned here! And this card I believe would cheer anyone up! And this card can be used for other occasions as well. Another plus to the card and set!!! 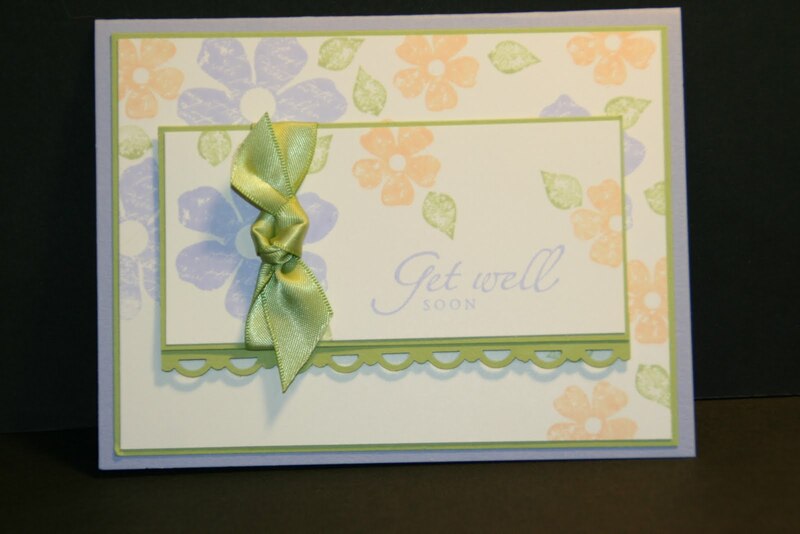 Thank you Denise for the card and for allowing me to share it on my blog! You're the best! One of my very favorite new sets. Your card is gorgeous! A very lovely card, Denise. Thanks for sharing it with us. I think that this is a great set also. I love it! I hope this set stays around for a while! Great color combo! Thanks for sharing! Wanda, Denise's card is gorgeous! Wish you would have mentioned her blog so we could see her work! TFS! this card is absolutely stunning!!! I need to make a FB card for my MIL, so I googled it and found your beautiful blog. Awesome card!! !